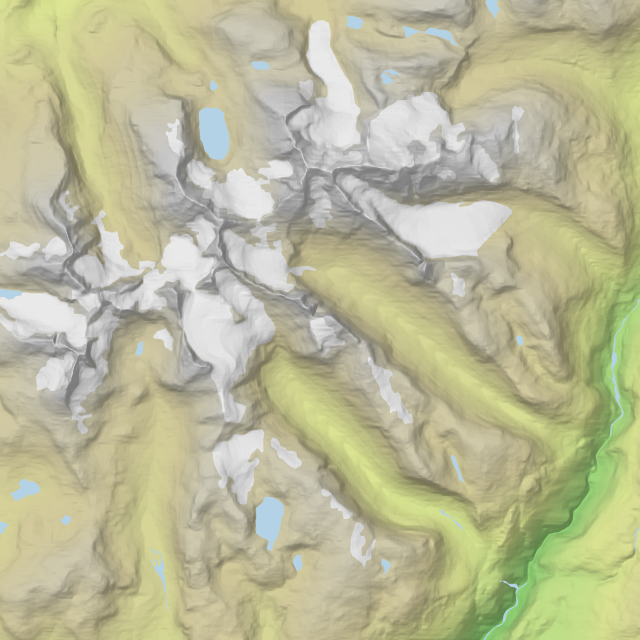 I’ve added two styles for glaciers (white) and lakes (light blue) using the PolygonSymbolizer. The glacier layer is rendered on top of the color relief, before we blend it with with hill- and slopeshade layers. The lake layer is rendered on top of the blend. Since the shapefile and map projection is different, you have to specify the original projection in the srs attribute. Again, you’ll find the srs code by clicking on the Proj4 link on spatialreference.org. Viggo Lunde made me aware (see comment below) of a high resolution (scale 1:50,000) land cover dataset for Norway. The AR50 dataset (documentation) is available from the Norwegian Forest and Landscape Institute. I’m quite happy with the result. In the next blog post we'll create an interactive version of this map. 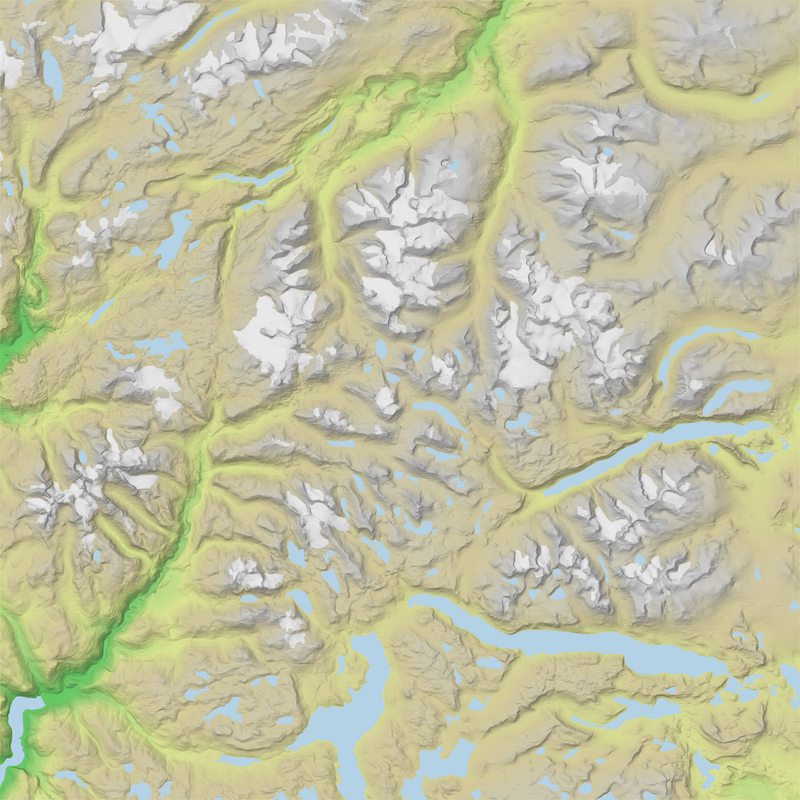 If you want more detailed landcover you could download our AR50 dataset. Great Viggo, I'll give this dataset a try.